WASHINGTON -- Leaders from nations gripped by an Ebola outbreak are pulling out of President Barack Obama's gathering of African leaders in Washington next week, though the White House says the health crisis won't impact the three-day summit. "We certainly understand the decision that was made by some of these African leaders to not participate," White House spokesman Josh Earnest said. "They obviously have some very pressing items of business to handle in their own countries." Administration officials said the leaders of Liberia and Sierra Leone, two of the three main countries affected, had canceled their trip to Washington. It was unclear whether Guinean President Alpha Conte still planned to attend the conference. The White House said other representatives from Liberia and Sierra Leone still planned to be at the summit. 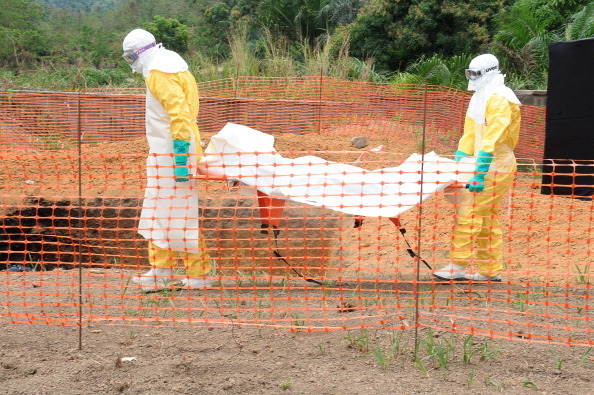 How will Ebola be contained in the U.S.? U.S. health officials on Thursday warned Americans not to travel to Guinea, Liberia and Sierra Leone, where the Ebola has killed more than 700 people this year. The current outbreak is the largest since the disease first emerged in Africa nearly 40 years ago. The Peace Corps recently announced that it is pulling more than 300 volunteers out of affected countries temporarily, and two Americans infected with Ebola are being evacuated out of West Africa to come to the United States. The outbreak of the deadly Ebola virus threatens to cast a shadow over a summit that the White House has billed a historic gathering of African leaders in the U.S. capital. Nearly 50 leaders were scheduled to attend the talks on boosting U.S. business investment in Africa, regional security and supporting the next generation of African leaders. Ben Rhodes, Obama's deputy national security adviser, said the summit would focus on boosting Africa's ability to address its own challenges and elevate U.S. engagement in the economically growing continent. "We see enormous opportunities in Africa as it continues to advance its own economic development," Rhodes said. The upcoming meeting of African leaders will come just two weeks after the president spoke to 500 young Africans visiting Washington as part of the Young African Leaders Initiative (YALI). In that speech, Mr. Obama said Africans should strive to "update and create new traditions," particularly when it comes to the role of women in society. First lady Michelle Obama also spoke at the YALI conference, telling the audience, "The blood of Africa runs through my veins." Beyond next week's summit, the president plans to attend a U.S.-Africa business forum and host leaders for a dinner at the White House. Michelle Obama will also co-host a spousal program with Laura Bush, reprising an event they held together in Tanzania last summer.